I really have many great memories from LIYSF 2012 and a lot of things to share. In less than 20 days, I got a glimpse of the advanced education of Britain. All the professors invited were top scientists and most of them were humorous and modest. My Chinese friend told me that she would not be lazy if she could be taught by these professors at college. I can’t agree more. And I was amazed when I found that students were involved so attentively in the lectures at LIYSF and they were eager to ask professors many questions. I’m not a brave student so that I did not dare to ask questions in big lecture halls, but in one of the small classes, I picked up my courage to tell Prof. Jon Taylor some environmental problems in China and asked for his opinion about it because he was an expert in wild animal conservation and one of the managers of WWF. He did not blame China though everyone knows the severe environment condition there. Instead, he said that China had been trying in the environmental protection and cooperated with WWF actively. That talk with Jon Taylor gave me tremendous confidence and faith. Smiles of the friends from all over the world gathered at LIYSF are always so sweet whenever I look back. 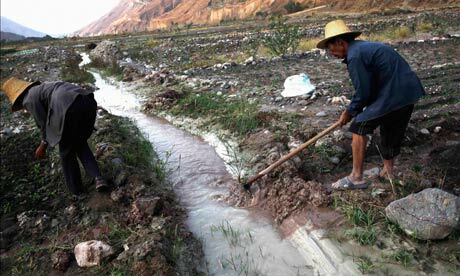 A recent article in the Guardian has reported that Chinese government ministers have admitted problems associated with the environment in China. Read the full article here.